Player 1 dribbles towards the basket. At the same time player 5 sprints towards the base line. Players 1 shoots or scores with a lay-up. Player 5 touches the base line (hand or foot) and sprints towards the middle. Player 3 takes the rebound. Player 3 gives a long pass to player 5. Player 1 takes his place behind player 4. Player 7 gets ready to play 1 on 1 defense against player 5. After his pass, player 3 takes his place behind player 6. 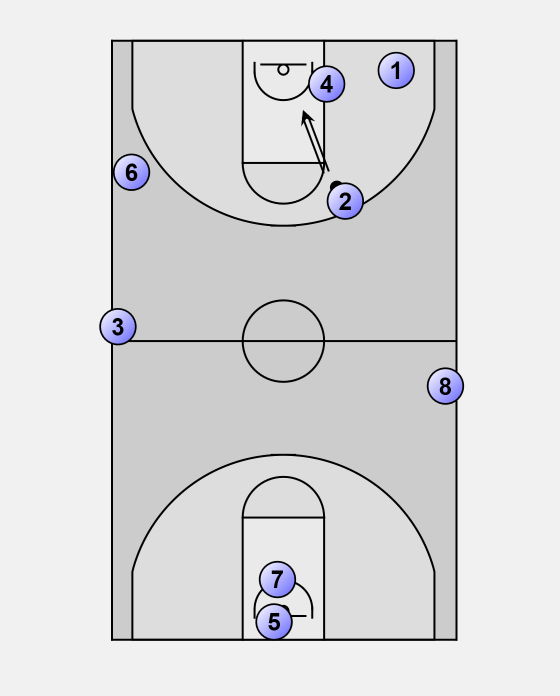 Player 5 and 7 play 1 on 1, player 5 finishes with a shot or a lay-up. ... gives an outlet pass to player 2. Player 2 dribbles towards the hoop. At the same time player 6 sprints towards the base line. Player 4 gets ready for the rebound and the long pass. Player 8 replaces player 2 at the middle. Player 7 now becomes defender, player 5 becomes rebounder. 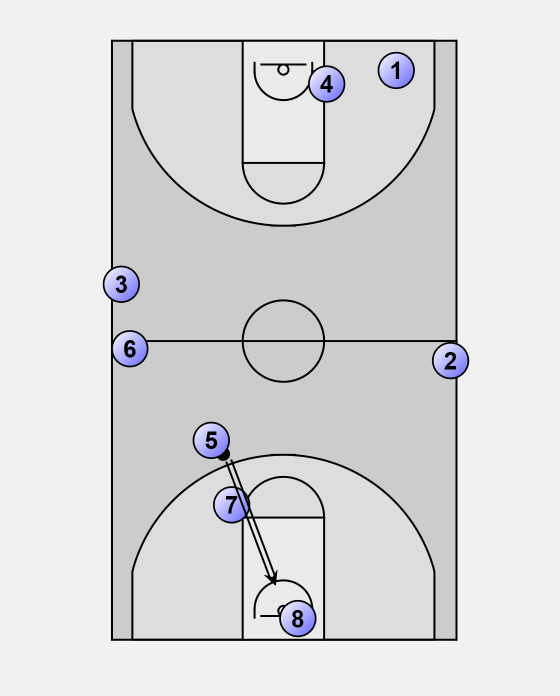 Player 2 shoots, player 4 gets the rebound and gives a long pass to player 6 and so on.